You know what I really love about these picnic bags? They're so great for both summer and fall. Of course, being outdoors and getting your lunch date on sounds like the perfect afternoon on a sunny summer day. 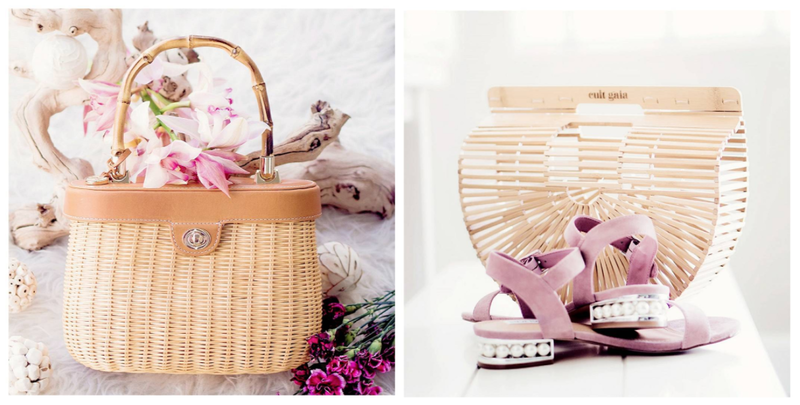 But you can also transition these wicker style bags into autumn as well. Here I'm sharing a few different styles at various price ranges. If picnic bags aren't your style, then no worries. But if you're looking for a bag that isn't too flashy and that you can use for your regular items along with some on-the-go snacks, then these bags are for you. The mini picnic bag at the bottom right is probably the coolest piece here, but the weave circle bag comes in at the best price point. So if you see something you like, then click through to one and take it out for a bike ride to the boardwalk and beyond! I have an obsession with these bags! They're so cute. I just want all of your picks! You're killing me with that square tote! Ugh! I could definitely use one of these. I love these! You have great taste in finding these bags! These picnic bags are darling! Picnic bags seem to be all the rage now! These are all so cute and the Cult Gaia Square tote is a total eyecatcher! Nice picks! 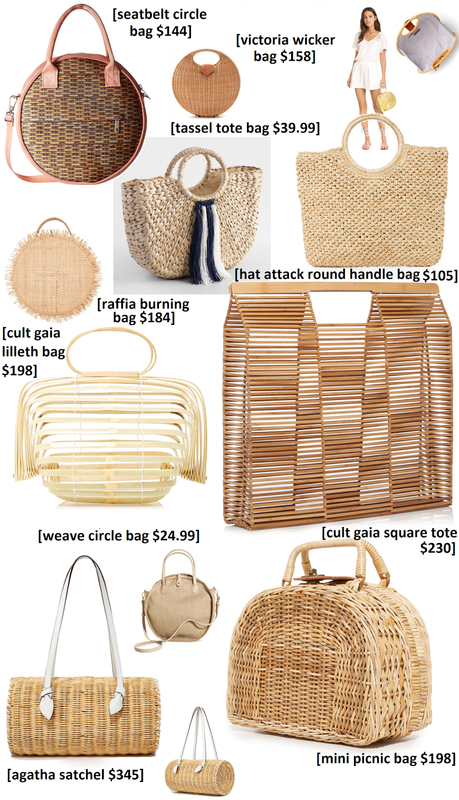 My fav is the Raffia Burning Bag and Hat Attack Round Handle bag. They both look so versatile.